Mix the remaining spices with the pumpkin and add to the pot. Stir to mix and add 2 or three cups of hot water and salt. 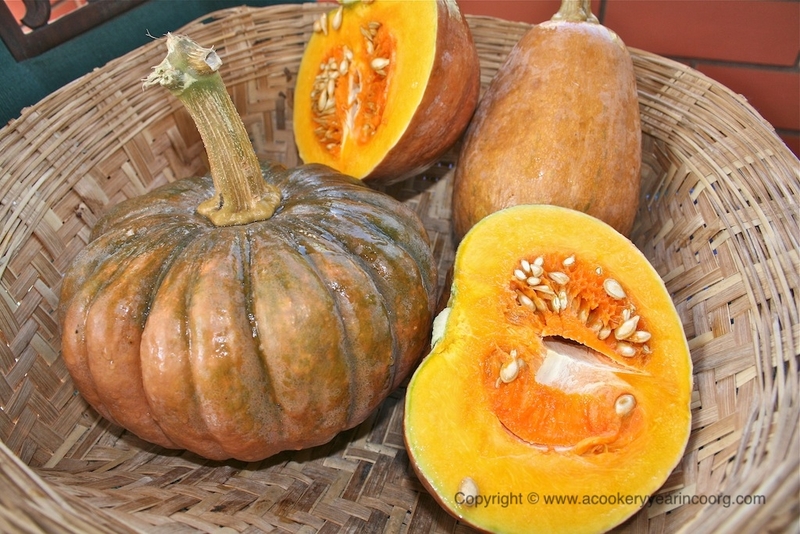 Bring to a boil, then simmer on low until the pumpkin is tender. Stir in the jaggery. Just before removing from the heat, mix in the chopped coriander. A popular way to eat akki otti and kumbala curry is to tear up the flatbread into a little mound of bite sized pieces and then ladle on the curry , very like a dish of pasta and sauce, only eaten with your hands! A dollop of fresh butter or ghee tops this off nicely.